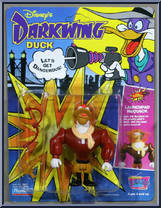 Occupation: Darkwing's personal pilot and sidekick. Special Skills: Flying, driving, crashing anything that moves! Quote: "Any crash you can walk away from is a good one." 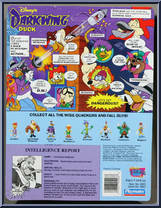 Personality: Dependable as the day is long, Launchpad's the most loyal friend any duck could desire. Too naïve to be scared of danger, McQuack is the right guy to have at your side on any mission - as long as you're not counting on him for any bright ideas. A big-heated, always upbeat lug, he has a soft spot for kids and anyone in trouble. Contribute pictures, update details or suggest corrections for Launchpad McQuack. Write a review about Launchpad McQuack.